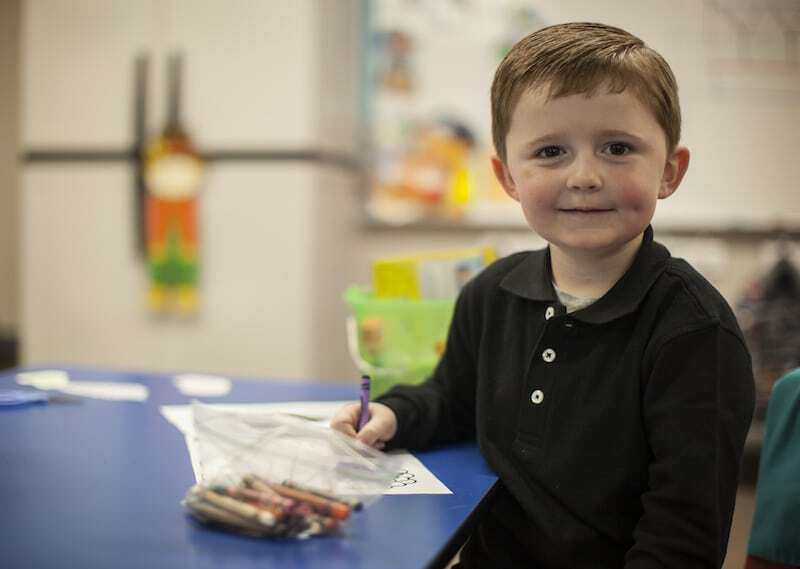 Beginning with 35 students and 4 teachers, Cornerstone Christian Academy was established in 1992 to provide families in the greater Paducah area with a quality, Christian educational experience that surpasses learning in a standard classroom. In 1994 the school’s name was changed to Community Christian Academy and was no longer under the auspices of one church. CCA is non-denominational and as such, does not lift one denomination over another, but rather attempts to lift up and honor our Lord and Savior Jesus Christ as the head of our school. Throughout the years our school has seen many different changes to our cities, counties, country, and world. Today CCA realizes it is imperative for the light of our school to shine. In the Sermon on the Mount, Jesus instructed, “You are the light of the world. A city set on a hill cannot be hidden” in Matthew 5:14. CCA graduates have represented that light in professions, both locally and around the world, including teachers, medical professionals, government officials, and servicemen in the armed forces. Our mission each day is to prepare another generation of Christian leaders. Community is the most vital longing in our hearts. Placed there by God, we all have the need to connect through relationships—with others and with Him. CCA is a welcoming place where everyone has a purpose and a passion. Students use their purpose and plan to impact the community around them as well. At CCA, we actively follow Christ, attempting to pattern our lives after Him. He is an integral part of every aspect of our lives; a vital part of every word, thought and action we take. Christ has shaped our belief about history, science, and the world around us. He has shaped our curriculum to reinforce Biblical truths. Our athletes are taught to play, win or lose, with the character of Christ. Community Christian Academy strives to instill habits of learning beyond the high school experience, and extending into all areas of life including: excellence in thinking, effective communication, independent reading, revision strategies, critical thinking, creativity and a love of learning. Through meaningful, Christ-centered examples, faculty members teach the practical skills needed for college preparation and expose students to larger questions of the greatness of Christ. It includes a rigorous academic program with accelerated, AP, online, dual credit, and work-based learning courses. CCA encourages students to explore their creativity through its fine arts curriculum — including studies in music, drama and visual arts — as well as the joy of service through community involvement and volunteer opportunities. CCA is able to individualize curriculum to meet each student’s academic needs by partnering with multiple collegiate facilities and local businesses. Students in K-10th take the Terra Nova exam yearly. TerraNova is a series of standardized achievement tests used in the United States designed to assess K-12 student achievement in reading, language arts, mathematics, science, social studies, vocabulary, spelling, and other areas. 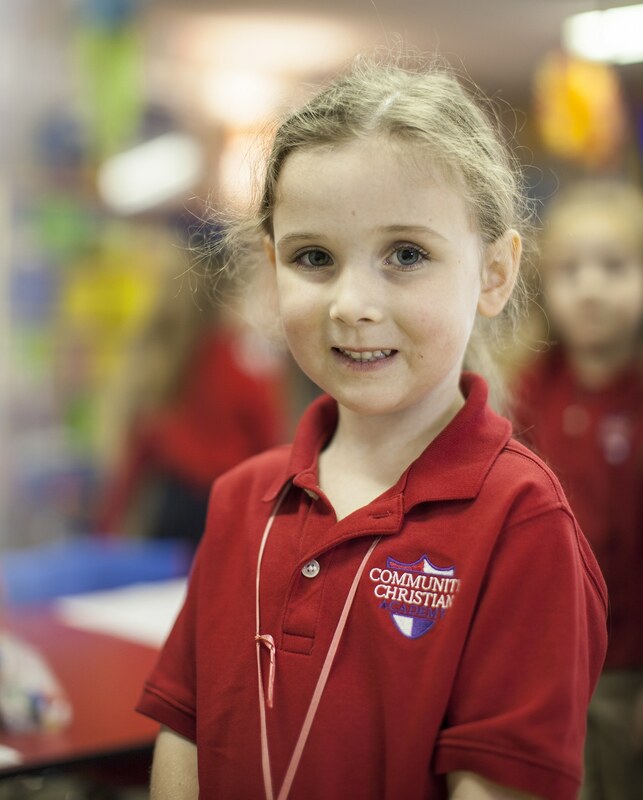 CCA consistently scores higher than the national and state average overall and on all sub-categories. We believe that there is one God, eternally existent in three persons: Father, Son, and Holy Spirit, and that God is the Creator of the heaven and earth. We believe that God loves each person and desires the salvation of all. We believe that salvation is through faith in Jesus Christ. We believe that regeneration by the Holy Spirit is absolutely essential for salvation of the lost and sinful man, and results in the new birth whereby sinful man becomes a new and different creature. We believe that God calls us to serve others and to proclaim His Truth through our speech and conduct as exemplified by our Lord Jesus Christ. We believe in the resurrection of both the saved and the lost–those that are saved unto the resurrection of life, and those that are lost unto the resurrection of damnation. Community Christian Academy provides a Christ-centered environment for area Christian families, where students receive an excellent education based on biblical truth, that will equip them to serve God to their greatest potential. Community Christian Academy forms a partnership with the home and family to help educate students and to guide them in the development of biblical character and a biblical lifestyle. The Bible is the basis for determining what qualities or characteristics exemplify a Christ-like life. The atmosphere or conduct in a particular home or activities of the teacher should support the biblical lifestyle the school teaches. This includes, but is not necessarily limited to, participating in, supporting, or condoning, sexual immorality, homosexual or bisexual/transgender activity, drunkenness, illegal drug use, witchcraft, promoting such practices, or being unable to support the moral principles of the school. Community Christian Academy recognizes that while scripture does not provide specific guidelines concerning all social practices, it does teach self-restraint in that which is offensive or harmful to self and others. Practices detrimental to a Christian’s character and body are not permitted. (I Cor. 6:19, I Cor. 8:9 for example) Students learn obedience to Christ by submitting to earthly authorities: home, school and church. Each student’s conduct should be brought into harmony with the principles of God’s Word. We understand that not everyone will agree with all policies at CCA, but we must teach ourselves to respect and respond properly to authority even when we do not agree because this is God’s command to us. Christian conduct is expected of students at all times, on and off campus. While a student is enrolled at Community Christian Academy, it is understood that the school expects the student to refrain from any behavior that negatively affects the testimony of Jesus Christ, Community Christian Academy and the student. This means 24 hours a day, seven days a week. Show respect at all times – self-respect, respect for others, and respect for property. Speak of God in a respectful way at all times, develop a personal relationship with God which includes fellowship in a local church (Hebrews 10:25), as well as encourage a close relationship with God in others. Be respectful in speech and conduct, honest, and obedient to those in authority. Be respectful of others and address them properly, not resorting to name calling, swearing, or dirty language towards them. Respect others property, and encourage everyone to feel included. I will not participate in bullying behavior, will not condone bullying behavior in others, and will report any bullying behavior I observe understanding that my identity will be kept confidential. Uphold the student responsibilities as outlined in the Community Christian Academy Handbook, which include but are not limited to: attending school regularly, being punctual for all classes, having all necessary supplies, and completing all assignments to the best of my ability. Give my very best effort, realizing I am responsible for myself and only I have the power to make or break my reputation. Uphold the Dress Code of Community Christian Academy at all times, realizing that outward appearance is important to my success and the success of others. Refrain from the possession, use and distribution of any alcoholic beverages, tobacco products, or illegal//look-a- like drug substances or paraphernalia. To maintain a positive Christian attitude and refrain from negativism either in action, word or appearance, including any electronic device posts and comments. Follow all policies and procedures of Community Christian Academy. Love the Lord your God with all your heart and with all your soul and with all your mind. This is the first and greatest commandment. And the second is like it: Love your neighbor as yourself. Matthew 22:36-40. Community Christian Academy holds an Open House each March. On a Sunday afternoon, all interested parties are invited to come to our campus for an exciting experience. Families are given a tour of the facility by a current high school student or parent. Each family can look at the curriculum for each grade level, meet the teachers, and enjoy some fun snacks. On a shadow day, a visiting student is paired with a current CCA student who is in the same grade. That visitor shadows our student, they visit and participate in classes and east a complimentary lunch. If you’re interested in attending Shadow Day, please contact us!